← 2013 in review: Another year of blogging! Presentations were in the top 5% viewed on Slideshare-Hope you’ve found them useful! Slideshare enables others to view and use presentation material. It was interesting to receive a report from Slideshare reporting my statistics. 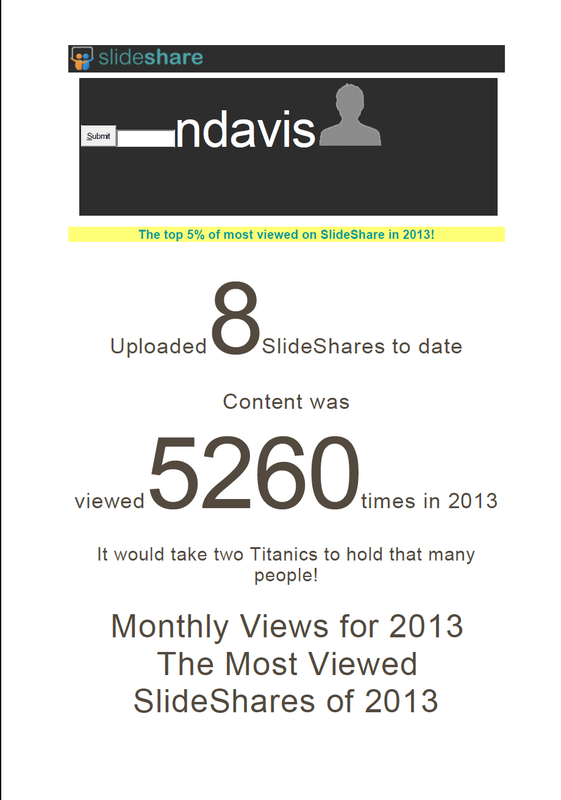 Material was viewed 5260 times in 2013 and in the top 5% of ‘most viewed in Slideshare’. That’s fantastic and I hope the slides have been useful and informative.